Great minimalist layout, plus I find it every year at Marshall's for $12.99! Unique week-at-a-view layout for Mom and up to four children! Beloved MomAgenda layout, in a runway worthy refillable portfolio. 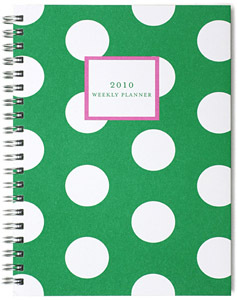 5″ by 7″ planner can fit in your day bag, on recycled paper with soy based ink. Designed for those of us who don't get overwhelmed from being overbooked...!